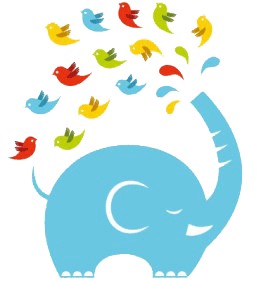 Get Free Twitter Followers, ReTweets & Favorites Exchange! Twitter is one of the top 10 most visited websites on the Internet. It has approximately 300 milion active users. Today, short text messages medium has become one of the most powerful tools of online marketing. 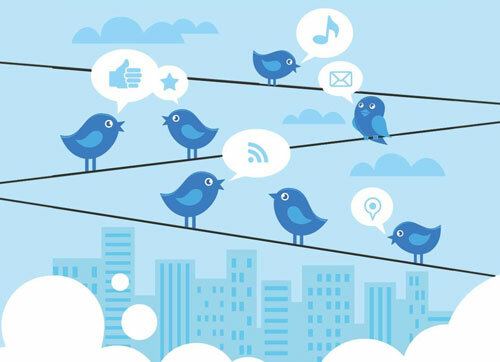 Twitter is a large network and has the potential to supplement your SEO activities. If you are running your business online you should understand there is a great deal of free advertising available in the form of optimal search engine rankings.This means if your website ranks high enough to appear on the first page of the search results, you will likely enjoy increased website traffic. If the tweets from your account are focused and topical then it surely helps you to establish your online reputation and build a brand online. 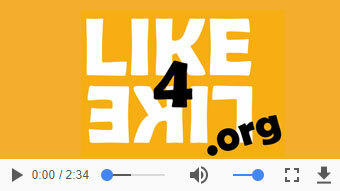 Like4Like.org is a SEO tool! We can help you get free Twitter followers! Our steadily growing community, just like you, is dedicated to increase number of tweets, followers and get business more "Social Media Exposure" with our tools like free twitter followers! Where pages that were shared more than 50 times all saw a ranking benefit, those that were shared more than 7.500 times almost always appeared on Google's first page! Rankings were checked by using the page titles, removing any special characters and using the first four words of the title as the search phrase in Google. For example, a Twitition with the title 'We want AC/DC in Salvador, Bahia, Brazil!’ became 'We want AC/DC'. Although, there are many factors at play when it comes to SEO (Search Engine Optimization), the more your content is shared, the higher it is ranked in the search results. Therefore, it is critical that you make your content as interesting as possible to increase the likelihood of it being shared, and that you actively encourage sharing by your audience. Your brand name or username should reflect your site name or offered services as this is what will be mentioned and displayed as your network, re-tweeted your posts. The more re-tweets your post’s get, the higher its significance. As a point of reference, put your website link on your profile page. The "bio content" is the information part of your Twitter. Maximize it and make it relevant to your website. The link that you display on your twitter profile, point it to a relevant page that will help with your conversions, rather than just pointing it back to your websites home page. Since Google is now displaying tweets in SERPs, despite nofollow, putting your links on your posts will aid your link building activities or has the potential of giving a wider web presence. Also, accompany your links with effective keywords. You can post your links several times or in interval in order to maximize possible keywords and contents, and exposure. Hash Tags is a Twitter feature that works like a meta data for your tweets. These are posts with "#" symbol like "#web" and "#development". Hash Tags help organize tweets and determine the trending information in Twitter. If you to mention users in Twitter you need to put a "@" symbol before their usernames. It is like a retweet effect and the more your account is retweeted, the higher your relevance. It is like voting policy. Hence, whenever you tweet, or Re-Tweet other users ensure to use the @symbol before their username. Re-tweeting, other relevant posts especially those that are of the same niche with yours will help you build your brand and promote your services. Posting everything coming from your site may somehow looks like a spam. Also, as you retweet, you have been a help to others too, by giving your followers a good choice of links to view. Do not post bulk of tweets at once because this will annoy your followers, clogging up their stream, but instead spread your tweets out over the day with a decent interval. Promoting a blog site like your corporate one is a good option too. Blog sites can provide more information to your visitors and is the best place to interact with them, help them, know their thoughts, allow them to share your articles and contribute contents via comments, and also giving them the option to Re-Tweet your articles. Twitter button is now a requirement to many websites because it's easier way for share website pages. An effective Twitter account does not just help in your SEO, but it will build your online brand, and increase visibility of your company and brand, by building new connections. Last but not the least, determine a purpose for your Twitter presence. Do you want to focus on customer support or share information about your products and services or would you like to engage with your potential customers or maybe just like to converse with people from your own industry, etc. Only when you have a purpose you will get a direction and only then it is possible to monitor and measure the success. By managing well, you will have a higher chance to create a bigger network, connect more to people and gain the promotion you need.